Business blogging is a great way for e-commerce entrepreneurs to connect with their target market, establish expertise, and advertise online. 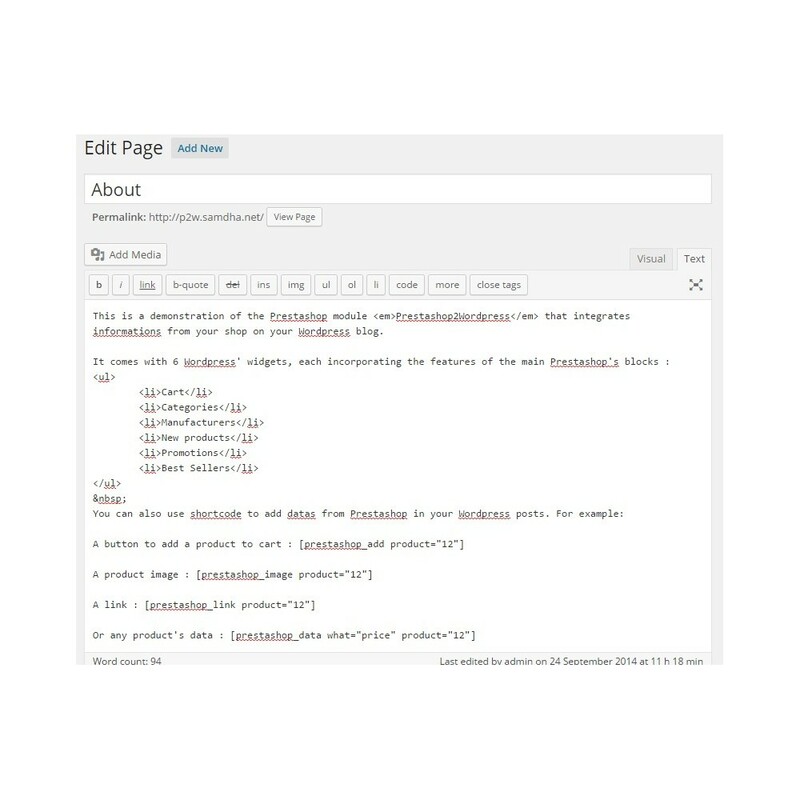 Blog posts are a great way to highlight the features and benefits of products or services sold elsewhere online. 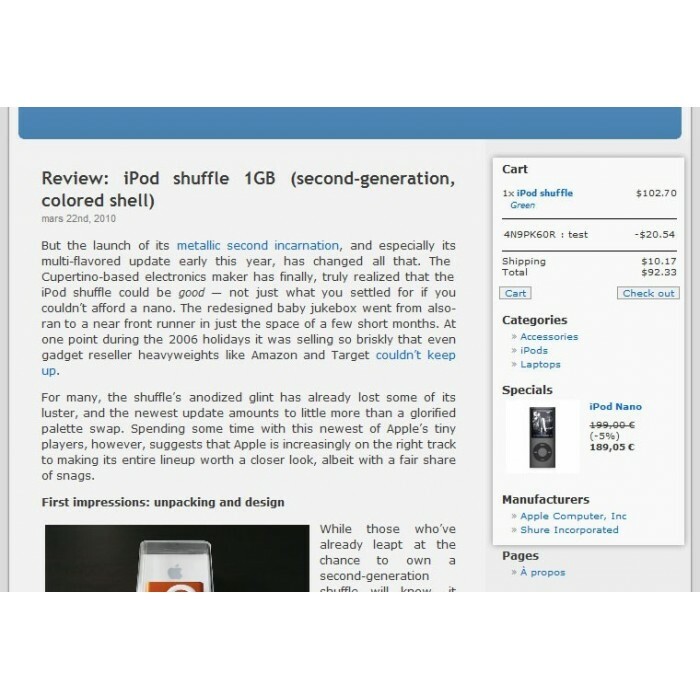 Add a picture and include a prominent hyperlink to the sales page. This blogging strategy gives online sellers another avenue of inexpensive advertising and helps increase product/service search engine visibility. 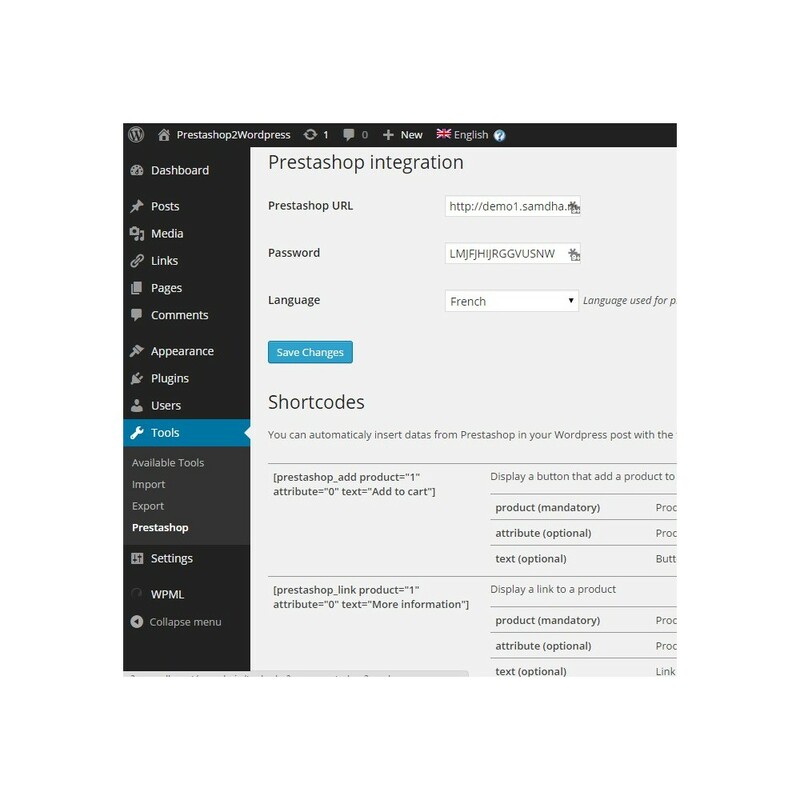 You can also link sereval Wordpress site to your shop and use it on multishop configuration. New in 2.1.0 : You can now display prices with or without reduction and with or without taxes. 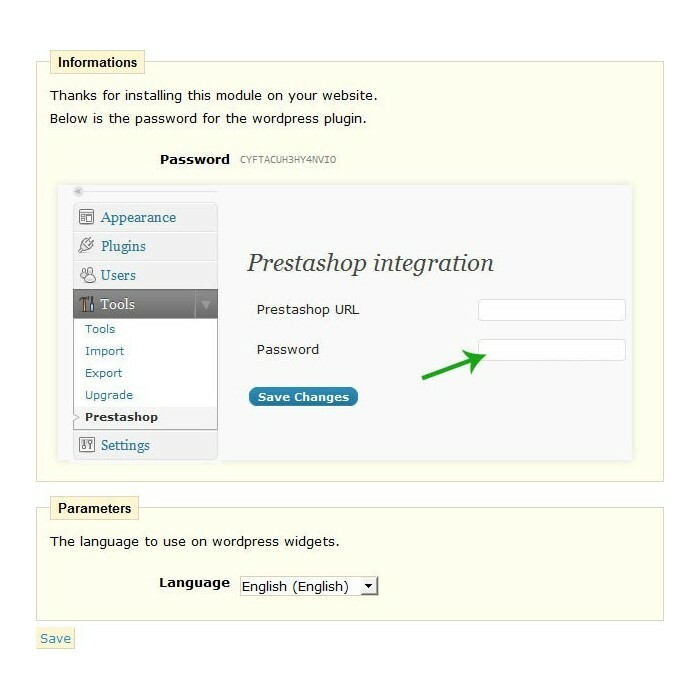 Just follow the instruction in the Prestashop module configuration page to install the Wordpress plugin.